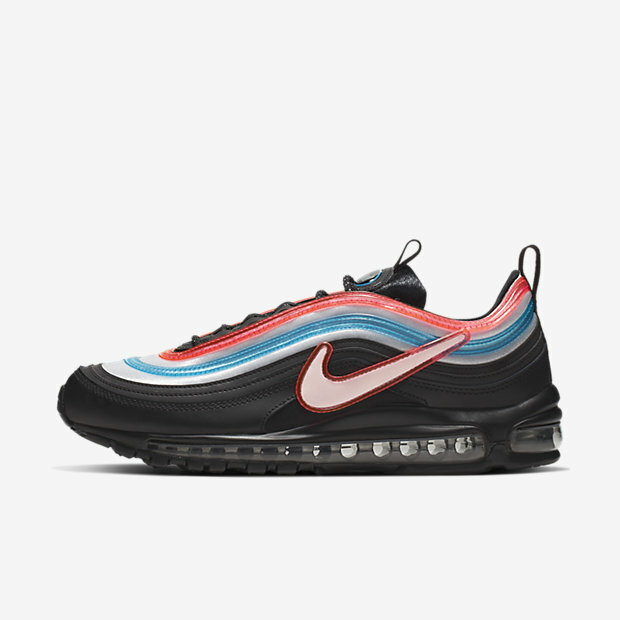 With a design inspired by the flag of South Korea and the neon lights of Seoul, the Nike Air Max 97 On Air Gwang Shin updates a sneaker icon while keeping the details that made it famous: water-ripple lines, reflective piping and full-length Max Air cushioning. A full-length Max Air unit provides maximum cushioning. An innovative lacing system offers a customised fit. A low-cut collar provides a natural fit and comfort around the ankle. Solid rubber in a modified Waffle outsole gives you excellent traction and durability. The design was inspired by the neon signs of Seoul and the South Korean flag. Last year, Nike invited locals in New York City, London, Paris, Seoul, Shanghai and Tokyo to design their own Nike Air Max inspired by the uniqueness of their communities. From these "On Air" workshops, 18 finalists were chosen based on the creative executions of their designs. The public then voted on six winners, one per city, which included Gwang Shin from Seoul.